Please check out how to get a webhost and domain for free which I have covered previously. Using domain email for your websites looks professional. Here is how to setup a domain email with no cost (I am using 000webhost's Cpanel and Co.cc domain for this example which are free). To create a new domain email, login to Cpanel. 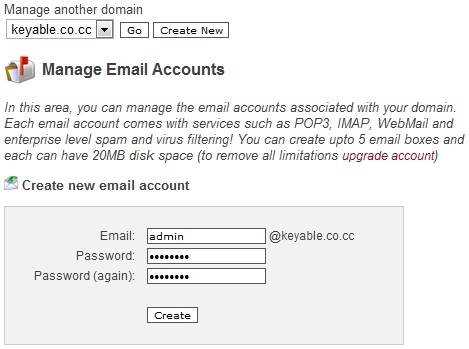 To check mail, login to Cpanel's Webmail to read emails. by storm, creating billions of pounds in revenue. You don't know anything about or keep up to date projects. you're looking at three to six. therefore he must be pay a quick visit this web page and be up to date every day.